Carolyn Stanford Taylor was named Wisconsin State Superintendent of Public Instruction in January of 2019. With almost four decades of public education experience, Stanford Taylor has been dedicated to the education of our next generation and ensuring that all children have an opportunity to access a quality education. 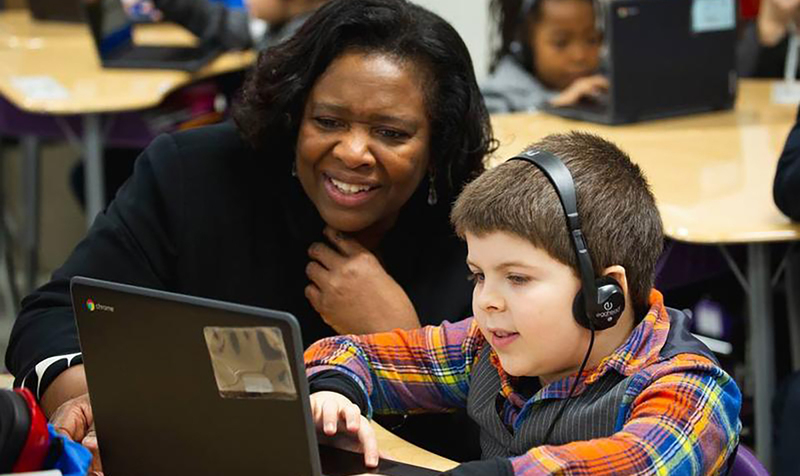 State Superintendent Carolyn Stanford Taylor and a student at Mendota Elementary School, Madison Metropolitan School District. State Superintendent Carolyn Stanford Taylor with a student during a visit to Mendota Elementary in the Madison Metropolitan School District. State Superintendent Carolyn Stanford Taylor on the power of libraries in her life and beyond. Stay informed about education in Wisconsin through DPI-ConnectEd — featuring success stories from Wisconsin schools, news and updates, and exciting opportunities for educators and students.